I keep this old wok on my back porch as a sort of collaborative art project. 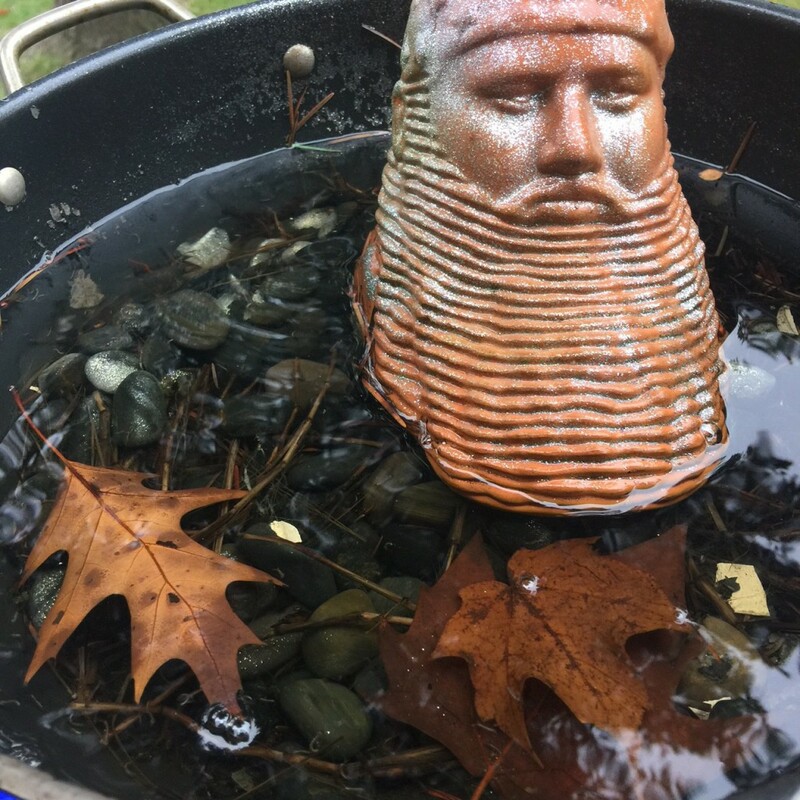 I added the stones and my Chia Willie head, nature adds everything else. On days like today it fills up with with raindrops and gives everything a nice wet gloss. Sometimes we go days without rain and it runs dry. Sometimes full, sometimes empty. I’m learning that life is a lot like that wok. Sometimes filled to overflowing, sometimes bone dry after weeks of not being filled. I am learning to appreciate the good times more and to allow them to thoroughly soak in so that I might more easily weather the dry spells. There is so much goodness in life if only we would stop and notice it. This is not just a cup of coffee, this is a cup of coffee brewed from a special blend of beans that my friends Kirk and Tara created for me. This is not just a job, it’s an opportunity to meet new people and be Christ to them and an opportunity to provide for myself financially. This is not just another day, it’s an opportunity to find purpose and meaning in everything I do. My encouragement to you is to find the things in life that you can be grateful for and allow them to soak into you. Long time since the last post–good to read you thoughts again. Nicely said, Drew.